Ross Watson – a leader of the 1982 Commonwealth Games protests and founder of the Murri school and of Murri radio (fm 98.9) in Brisbane – died this week. 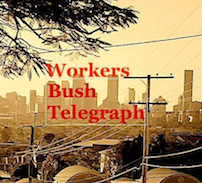 Ross was coordinator of the Black Protest Committee and editor of Black Nation Newspaper which played an important role in 1982 in the Commonwealth Games Land Rights marches and gatherings in Musgrave Park in South Brisbane. Ross Watson (shaved head [see comment by Julie below]) sits beside Maureen Watson on the road to QEII in front of the thin blue line during the 1982 Commonwealth Games protests. I did not know Ross on a personal level but have a strong recollection of one thing that he and others did. The picture above shows Ross sitting on the roadway beside Maureen Watson in front of a line of police. As a white supporter I had been asked by murris up front to be at the back of the march with the other non-indigenous supporters. I remember how scared I was that police would be vindictive that day – especially given the threats made by Bjelke-Petersen against the protestors in the media. I thought police may take out their aggression on the marchers as we marched down Kessels road on the way to QEII sports stadium where the games were held. I remember the cool leadership of Ross Watson and others who did not risk the ire of the police and sat down on the road before we came to an overpass above the S-E freeway. The police then stood exposed to all as more and more people sat down on the ground. I was worried that police would throw us off the bridge onto the freeway below. I suppose I was unaccustomed to being at the back. It would not have been the first time Queensland police had taken to demonstrators in such a way. The non-violent resistance of the black leadership that day reduced the prospect of police violence and brought to a minimum the number of arrests. I remember Ross Watson sitting with us recently under an old bunya tree in the middle of Musgrave Park during the 30th commemoration of the Commonwealth Games. Ross said that he did not have a definitive idea of how the movement should progress but expressed the need for us to be self-sufficient and to grow our own food – he looked toward a more caring and sustainable future. 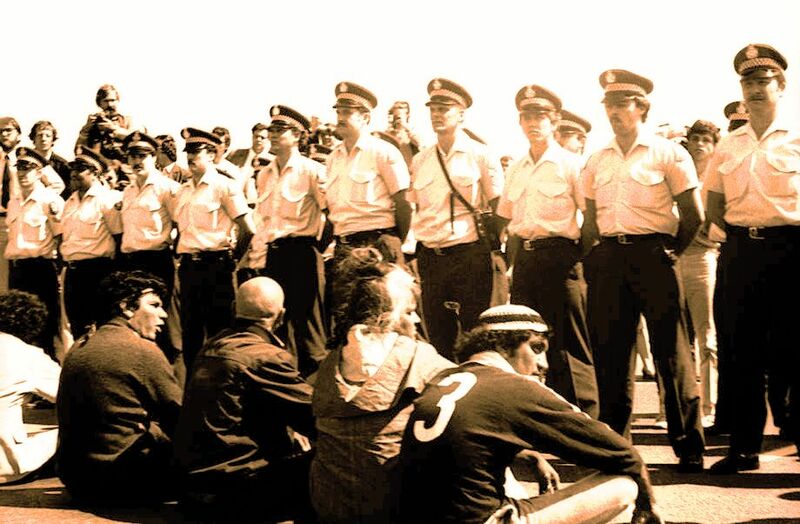 At the time of the 1982 Commonwealth Games, Queensland was the last state to have an “Aborigines Act” and the mass protests of Aboriginal people and their supporters were crucial in raising the pressure to have the act repealed. Those protests saw hundreds of people arrested, as they took to the streets in the face of repression from the Bjelke-Peterson Government — who had declared a State of Emergency and proclaimed street marches illegal. During the week of protests, many people camped out in Musgrave Park in South Brisbane — which provided both a base for the protests and a place to gather, meet and share. 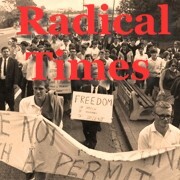 This historic, unedited film footage captures these moments and honours the veterans of the struggle (like Ross) and those that were part of the 1982 protests and also provide a chance for the next generation to share in the struggles of the past … and to once again gather meet and take up the struggles of the future. Ross’s funeral will be held at 1.30 pm at the Murri school at 1277 Beaudesert Road Acacia Ridge (Brisbane) this Friday 17 May 2013. A lot of sorry business lately … the old resistance fighters are passing … waiting and watching the new warriors comin’ through … my condolences to the Watson family. This entry was posted in Aboriginal Struggle, community, democratic rights, Education, Environment, Film, radio. Bookmark the permalink. There will be many people the poorer and sadder for the loss of a fine man like Ross Watson. I would just like to say, regarding the heading under the photo of Ross sitting with his sister Maureen and others in front of the police line-up, that it is incorrect to say his head was shaved. Ross once told me, back in the 70s, that his hair fell out when he was sent as a young boy from his central Queensland home to board at St Brendans College in Yeppoon. The stress of being the only indigenous student as well as the expectations placed upon him by this caused his hair to fall out and it never grew back.